GREY2K USA: Meet two dogged board members | Will My Dog Hate Me? 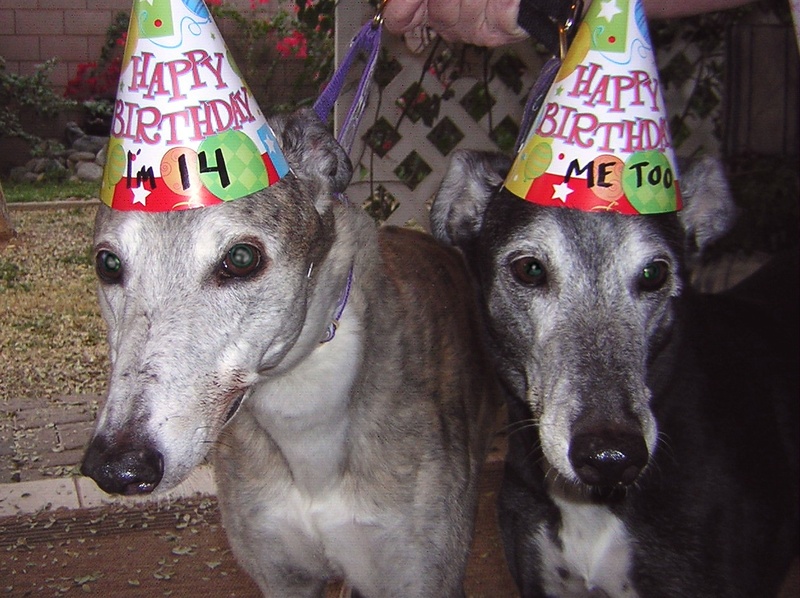 Readers of this blog have already met these tireless advocates for animal rights, Twig Mowatt in a guest post on how to photograph your dog and Karyn Zoldan… well, she and her diva greyhound Lily have turned up here many times, most recently for Lily’s 12 1/2 birthday party. So far, Karyn and Twig have only met virtually, but that will change, because Karyn just joined the board of GREY2K USA, which Twig is on. Since I know both of them (Twig virtually), I invited them to come here to share a bit of greyhound education. And of course adorable greyhound pictures. 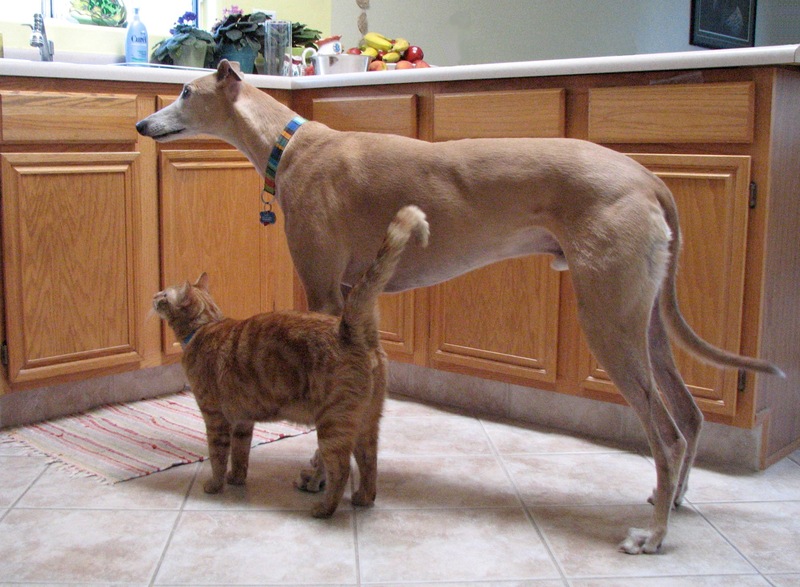 Do you have a greyhound as a pet? What kind of pet does he/she make? What is wrong with greyhound racing? How did you find out about these problems? 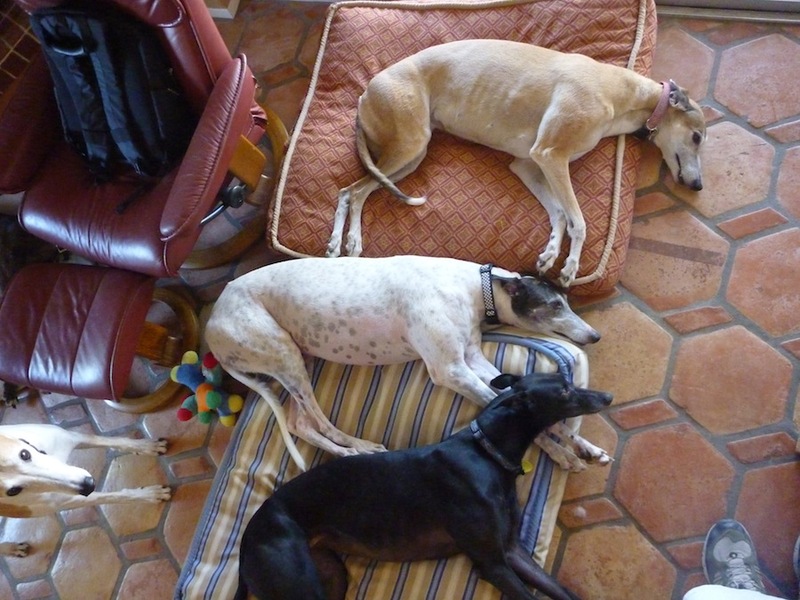 In 2000, I moved with my hounds to Arizona, where, at the time, there were two racetracks. It wasn’t until I lived in a racing state that I became so aware of the ills associated with greyhound racing. Greyhounds are confined to small cages 20-22 hours a day, fed substandard meat that even the FDA does not condone, and indiscriminately shot up with anabolic steroids. Just last month two hounds in Alabama were found to have cocaine in their system. Dogs break their legs and necks. Dogs are electrocuted. Dogs die. That’s what’s wrong with greyhound racing. This kind of exploitation wouldn’t happen to golden retrievers or Portuguese water dogs. In Tucson, there is lots of news coverage about what happens at the tracks, and most greyhound adopters are in the know. As the Internet has grown, so has our exposure to greyhound racing horrors. Dog bless the Internet. What is being done to end racing? To some degree, it is winding down on its own accord as other, more immediate, forms of gambling gratification have come into being. The people who actually still go to the track are aging quickly. The bad economy also took a toll, as has the general lack of racing industry accountability to monitor the whereabouts of dogs after their last race. Fortunately, there’s a whole new generation who grew up watching Animal Planet, being exposed to racing horrors, and rescuing these gentle dogs. Also advocacy groups like GREY2K USA organized with the intention of ending greyhound racing, not just exposing its cruelty. What is the situation in your state? I’m hopeful because the trend is that tracks are closing. More than half of the nation’s greyhound tracks have closed for lack of business in the past three decades. Four tracks closed in 2009 alone. Even a lot of the track owners want to get out of the business because they are losing money. A former kennel operator said he thought greyhound racing would be over by 2014. He’s a smart guy; I hope he’s right. Whenever I wear a greyhound t-shirt or take my dog out, strangers come up to me and say, “I can’t believe we still have greyhound racing here. What can we do to make it go away?” These people become my new best friends. What can an individual do to help end racing? People can help by speaking the truth, not being silent or neutral; ditto for adoption groups. Take your greyhounds out in public. Aside from telling others what great pets they make, hand out brochures, write to your legislators demanding the end of greyhound racing, sign up for advocacy alerts, and donate to groups like GREY2K USA that are trying to end greyhound racing. Have a yard sale, eBay auction, or donate your etsy art items to groups trying to end racing. Take a stand and speak out! What is GREY2K USA doing to end racing? A great deal. Although there are other advocacy groups, few have had as much success ending racing. GREY2K USA banned greyhound racing in Massachusetts as of 2010 through a voter initiative in which compassion won over cruelty by 56% to 44%. The group is at the forefront of defeating attempts to prop up greyhound racetracks with subsidies, other forms of gambling, and special favors for politicians. They talk to legislators and hire lobbyists to get bills and laws passed. They also educate the public about racing exploitation and spread the word to promote adoption efforts. The opposition (tracks, breeders) says that people who oppose racing are all animal rights lunatics…..what’s the real story? They say a lot of things. I’m okay with being called a lunatic if it means saving greyhounds’ lives. There is a greyhound rescue group that comes to petsmart in my area. They are beautiful calm animals. From what that group has told me : Greyhounds can reach a speed of 40 miles an hour in seconds. They take groups of grayhound owners to enclosed dark parks and let them run and romp around. They also are very gentle, friendly and easy going. They are really great dogs to own. Karyn Zoldan is an inspiration to all of us that love greyhounds. 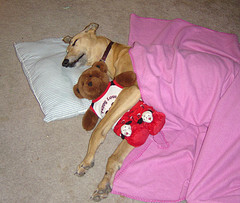 She works tirelessly to educate people on the tragic situation for racing greyhounds. Frequently, when I download emails, there’s one from Karyn asking that I write letters to politicians or other government officials around the country to encourage the ban of this expoloitive sport, of applauding people for passing legislation to make greyhound racing in their state illegal. And, of course, I do. Unfortunately, Arizona legislators are not yet very responsive to the plight of racing greyhounds. So for anyone reading this blog that despises this so-called sport, please contact your legislators and let them know that greyhound racing in Arizona is a blight on this state and needs to end. I never had the pleasure of meeting Painter, but I’ve met Lily and she’s one cute pistol of a dog that trys to keep Karen tidy by chewing up her ‘stuff.’ Good luck with that! Way to go Karyn. And can we ever get enough of that exquisite photo of Painter in his birthday hat, licking his lips? One of the great dog portraits for the ages. Karyn is dogged in her work to close the Tucson track and now she’s bringing her smarts to the national level as a board member of Grey2K. Kudos to Karyn for her work for the dogs. 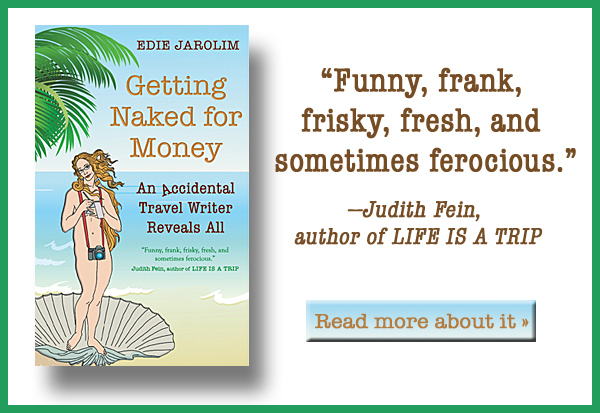 Nice article, Edie! And of course love the photos too. Thanks, Kate. Karyn always amazes me with her energy. That’s funny. I never feel energetic anymore but I appreciate all your encouraging comments and Edie for suggesting the guest post.